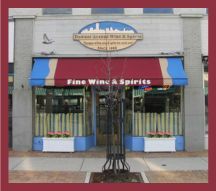 Welcome to the official website of Downer Avenue Wine & Spirits, Milwaukee's East Side destination for fine wine, cold beer and spirits of all varieties, building our reputation daily with a great selection and quality customer service. Downer Wine & Spirits is proud to announce we are a charter sponsor of MilwaukeeWine.com - a unique online wine outlet offering incredible weekly wine specials. Every Tuesday through Sunday, or while supplies last, MilwaukeeWine.com offers a "Wine(s) of the Week" at a low, low, low price. Simply purchase your wine @ MIlwaukeeWine.com and pick it up the following week at Downer Wine and Spirits. The MilwaukeeWine.com "Wine of the Week" changes every Tuesday at 12:01am and remains on sale until Sunday at 11:59pm or until supplies of that wine are exhausted. A reminder e-mail is sent out weekly about the current MilwaukeeWine.com offering - be sure to check www.MilwaukeeWine.com every week for incredible weekly wine specials. Copyright © 2019 Downer Wine & Spirits, Inc.